T-R PHOTO BY THORN COMPTON - West Marshall junior Jake Tollefson, right, slides into home base during the third inning while BCLUW pitcher Koty Kruse waits for the throw at the plate during the Trojans' 20-5 win over the Comets on Thursday in Beaman. 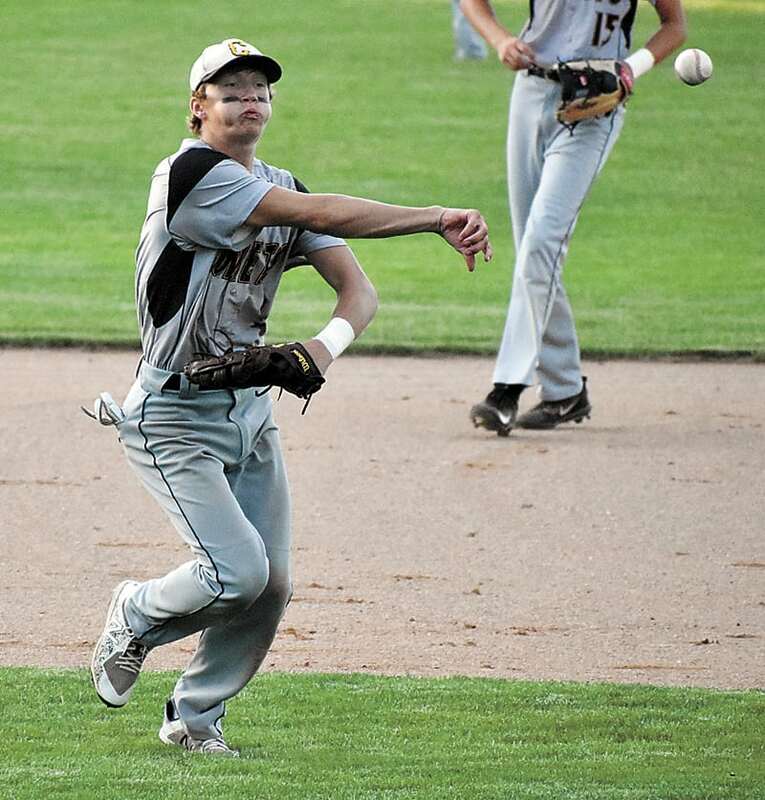 BEAMAN — Last time the West Marshall and BCLUW baseball teams met this season, the Comets walked away from State Center without allowing the Trojans a single hit. West Marshall leadoff hitter Jake Tollefson wasn’t about to let that happen again when the two teams met up again on Wednesday night in an NICL West Division showdown, and after a long at-bat the Trojan junior got the better of BCLUW starting pitcher Logan Mann with a single to start the game. 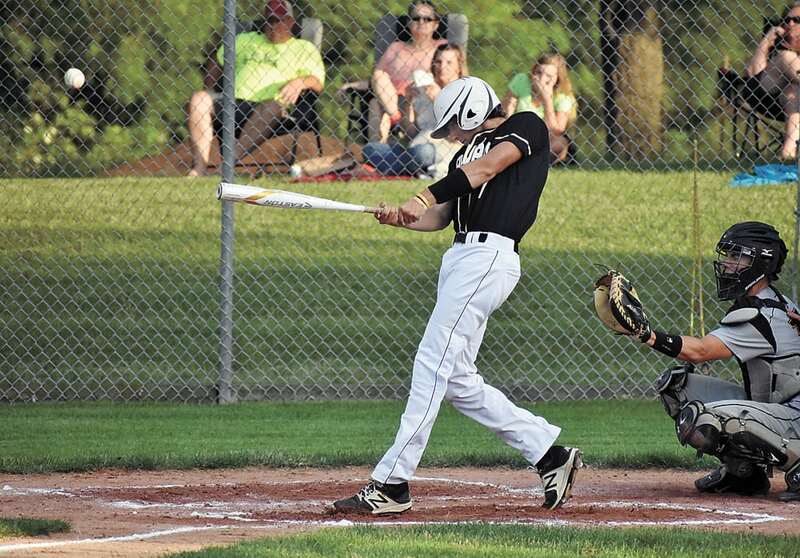 That would be the first in a long line of hits for West Marshall in the game, as the Trojans exploded for easily their best offensive game of the season, defeating the Comets 20-5 in four innings. West Marshall head coach Jerod Brown said the way Tollefson started the game really got the momentum rolling for his squad. T-R PHOTO BY THORN COMPTON - West Marshall junior Jake Tollefson, left, high-fives freshman Ryan Reyerson after scoring a run in the third inning of the Trojans' 20-5 win over BCLUW on Thursday in Beaman. Tollefson finished the night with two hits and four RBIs, including a big two-RBI single in the fourth game that scored the 19th and 20th runs for his team. Ryan Reyerson pitched the complete game for the Trojans (16-9, 7-2), allowing four hits and five runs while striking out four batters and walking two. 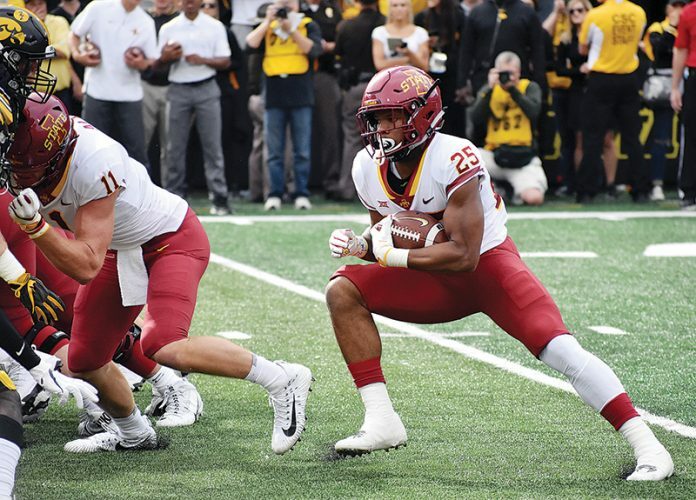 Where Reyerson really did his damage was at the plate though, as he led the team by going 3-for-3 with a double and four RBIs, and his courtesy runner Ben Kielman scored four runs. West Marshall finished the night with 11 total hits, including perfect plate appearances by Alex Dickey (2-for-2, two walks), and Josh Larson (1-for-1, one walk). 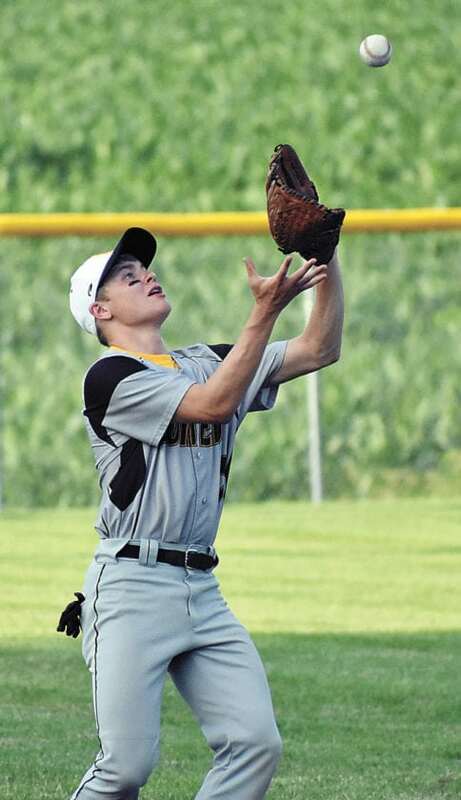 T-R PHOTO BY THORN COMPTON - BCLUW junior Coby Willett prepares to catch a fly ball during the first inning of the Comets' 20-5 loss to West Marshall on Thursday in Beaman. 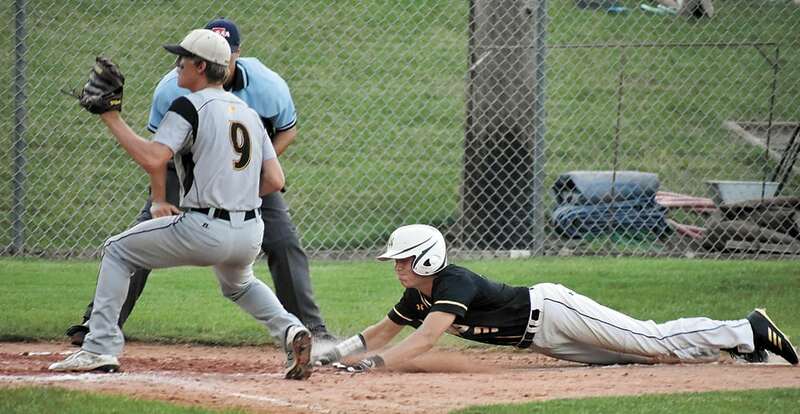 It also helped that BCLUW (10-10, 7-2) gave up 13 total free bases, eight by walks and five by hit batters. Brown said that also was a product of the team’s approach, however. Comets head coach Matt Zoske said it’s difficult for any team to recover from allowing so many free bases, let alone against a team the quality of the Trojans. 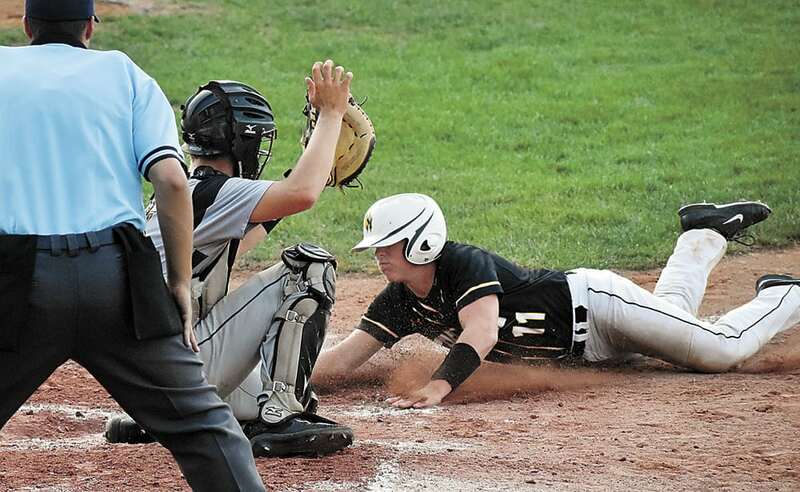 After starting the game down 7-0 through the first inning and a half, BCLUW responded in a big way with five runs in the bottom of the second to make it just a two-run contest. West Marshall jumped way out in front again to start the third by scoring seven runs in the top, thanks in part from seven walks or hit batters by Comet pitchers. On the other side, Brown said the way his guys came back after leaving the door open in the second was truly encouraging. Mann took the loss for the Comets while pitching the first two innings. Mann also had a bases-clearing double in the second that made it 7-5, while Troy Dolphin, Brad Barkema and Keegan Rhinehart all had singles in the second. Reyerson said while going through that second inning he did his best to stay positive, which worked in the end since he retired six-straight batters to close out the game. With the victory, the Trojans now pull even with the Comets atop the NICL West standings, with each team possessing a 7-2 divisional record. Brown said that is absolutely a confidence boost heading into the home stretch of the season. As for the Comets, Zoske said this wasn’t their best showing but luckily they still have plenty of time to get back on track and finish the season strong. BCLUW hosts Colo-NESCO tonight for an NICL-Iowa Star meeting, while West Marshall heads up to Grundy Center to finish a game that was postponed earlier this season due to weather conditions. Ryan Reyerson and Josh Larson; Logan Mann, Koty Kruse (3), Jack Garber (4) and Brad Barkema. WP–Reyerson (2-0). LP–Mann (3-3). 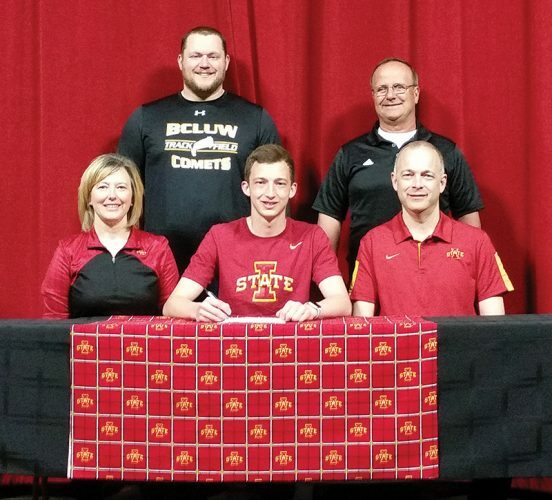 2B–WM: Reyerson, Parker Hulbert, Cameron Bannister, Kinnick Christensen; BCLUW: Mann. LOB–WM 4, BCLUW 1. T-R PHOTO BY THORN COMPTON – BCLUW junior Coby Willett prepares to catch a fly ball during the first inning of the Comets’ 20-5 loss to West Marshall on Thursday in Beaman. 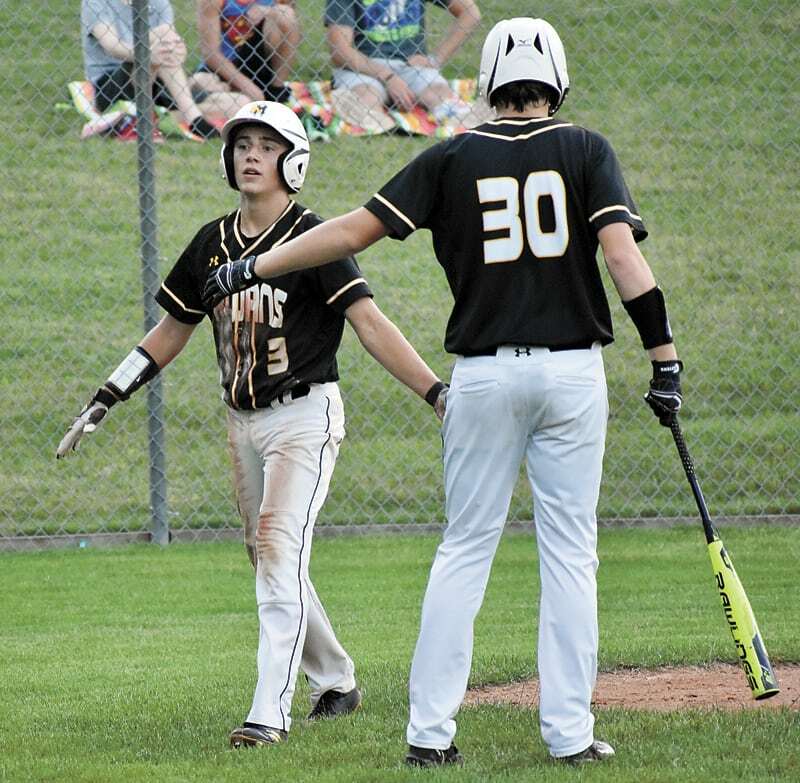 T-R PHOTO BY THORN COMPTON – West Marshall junior Jake Tollefson, left, high-fives freshman Ryan Reyerson after scoring a run in the third inning of the Trojans’ 20-5 win over BCLUW on Thursday in Beaman. T-R PHOTO BY THORN COMPTON – West Marshall junior Jake Tollefson, right, slides into home base during the third inning while BCLUW pitcher Koty Kruse waits for the throw at the plate during the Trojans’ 20-5 win over the Comets on Thursday in Beaman.